Photos by Lynda Kettle, no reproduction without permission. Lynda Kettle was a Production Designer at BBC Pebble Mill, working on factual, entertainment and drama shows in studio and on location. The photos were taken as records of the Sets. Style Challenge was a BBC 1 Daytime make over show, presented by John Leslie, Shauna Lowery, Caryn Franklin and Oz Clarke. The image of two volunteers were transformed by hair, make-up and clothes experts. The show’s trademark was the revolving mirror, revealing the contributor’s new image with maximum effect. The series was broadcast on weekday mornings on BBC1, from September 1996 to December 1998, and recorded in Studio A. Eileen Stokes was the producer. 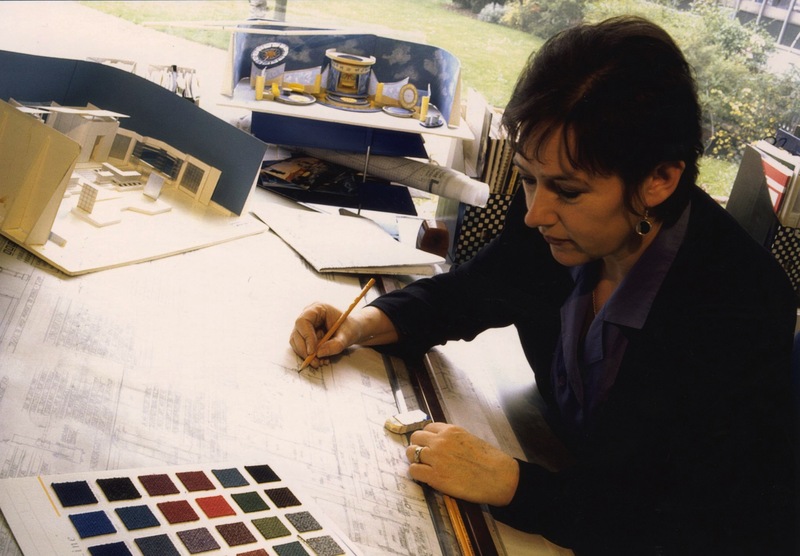 Production Designer, Lynda Kettle also worked as a theatre designer and an artist, and now runs courses from her art studio http://www.lynda-kettle.com. She is a member of the Royal Birmingham Society of Artists, Birmingham Water Colour Society. Midland Pastel Society and Birmingham Art Circle . She exhibits her paintings several times a year at selected galleries.